Montego Bay Jamaica is a traveler’s paradise. A great place to become immersed in your well-deserved island time amidst the friendly people, enchanting rhythms and inspiring colors, Montego Bay welcomes visitors to explore the amazing wealth that is Jamaica and its people. Follow these Montego Bay travel tips to help you better for prepare for that next trip to this inspiring destination. Unlike many other popular destinations where you are at the whim of the weather, visitors to Montego Bay can travel knowing what they can generally expect the climate to be like. Montego Bay is blessed with sunny weather year round, with an average temperature of 86 degrees Fahrenheit (30° C) tempered with seasonal fluctuations of around 10 degrees maximum. Historically, August through October are the wettest months in Jamaica, and the same is true for Montego Bay. However, rain showers are usually brief and quickly followed by some nice, bright Jamaican sunshine. While extremely rare, hurricanes can affect the island during hurricane season from June through October. Sangster International Airport, or MBJ, is a modern airport located in Montego Bay. Named after former Prime Minister Sir Donald Sangster, MBJ is the busiest airport in the English-speaking Caribbean. The Montego Bay airport is strategically located to be within easy driving distance of Jamaica’s main tourist hot spots, including Ocho Rios and Negril. The most important of three international airports in Jamaica, MBJ handles approximately two million passengers a year. However, what makes the Montego Bay airport so special is the VIP Club Mobay, a premier airport arrival and departure lounge that pampers you with a variety of amenities backed by Caribbean hospitality to make sure your welcome and goodbye is nothing more than a see you again soon! With the wide variety of styles and comfort levels of Montego Bay hotels, travelers to this tropical jewel will be able to find the right accommodations to suit your budget and needs. While we’re partial to Secrets St. James and Secrets Wild Orchid Montego Bay as well as the soon to be opened Sunscape Splash and Sunscape Cove resorts, there are also many other great hotels and resorts ranging from small bed and breakfast operations to large all-inclusive resorts such as Sandals. Montego Bay is also served by exclusive villa resorts and stand-alone villas. You’re sure to find a level of Jamaican hospitality and island comfort that will make you feel immediately like you are right at home while staying at your favorite resort. If you’re lucky enough to have booked a beachfront hotel, you’ll likely have a great piece of real estate to stretch out in a hammock or lounger, grasping that tropical sweetness of a cocktail that you ordered as you look out and ponder about the beauty of Mother Nature as seen through the tantalizing azure waters of the Caribbean Sea. Of the beaches in Montego Bay, Doctor’s Cave is the most famous of them all. Located in the central part of Montego Bay, Doctor’s Cave is a private beach club with white sand and crystal blue waters fed by nearby mineral springs which is open to the public for a small admission fee. A nice beach just liked the doctor ordered! Perhaps one of the best parts of visiting Jamaica is the opportunity it provides to try this delicious island cuisine. Like its people, formed through centuries of forging a national identity out of many different cultures, so too Jamaican food. Like most Caribbean islands, Jamaica’s cuisine is firmly rooted in its African heritage. Thrown into the stew are elements of British, Spanish, Portuguese, East Indian and Chinese cultures, among others, to form what can only be described as sensational cuisine. From goat curry and jerk chicken to Jamaican patties and the country’s national dish, ackee & saltfish, Jamaica has more than enough ways to please the palate. And, of course, almost anywhere you go in Montego Bay you’ll find restaurants large and small serving up some of the island goodness that so nourishes the soul. Some good recommendations of place to eat authentic island cuisine in Montego Bay are: Scotchies, the Houseboat Grill, MVP Smokehouse and Marguerites, among the many, many distinguished Montego Bay restaurants. Ya mon, it’s true. No visit to Montego Bay would be complete without a night out on the Hip Strip. You see, the Hip Strip is where the lights go on when the sun goes down over Jamaica. It’s the place to be and be seen in Montego Bay; a unique strip of restaurants, stores and souvenir shops that will immerse you in the world where Jamaica and tourism embrace. This is your chance to get out, letting all preconceptions and unnecessary barriers fall for an evening of Montego Bay’s culture and rhythm. A few of the places where you’ll be able to enjoy this eclectic mix of people and music are: Pier 1, Margaritaville, Fairfield Theatre, and the Blue Beat Jazz & Blues Bar. We saved the best for last, because this is the hard part. What to do in Montego Bay? Be prepared, because there is more to see and do than you will have time for. From cultural activities to adrenaline-based adventure and nature outings, Montego Bay is your starting point for discovering the amazing beauty that is the island of Jamaica. To make things easier, first decide on what type of activities you and your traveling companion(s) would like to do. Taking a vacation in the land that gave birth to the legendary reggae singer Bob Marley means that a visit to his former home and burial site on the Zion Line tour is a must. And, of course, how could you not go on a tropical bobsledding adventure on the Mystic Mountain Tranopy tour? 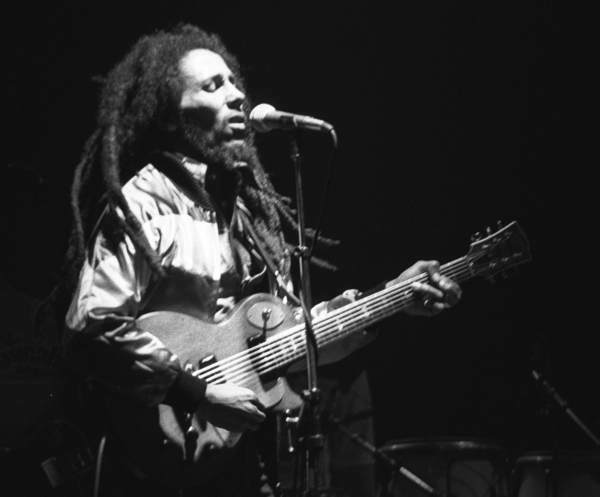 “Bob-Marley-in-Concert Zurich 05-30-80” by Ueli Frey – http://www.drjazz.ch/album/bobmarley.html. Licensed under CC BY-SA 3.0 via Commons. Montego Bay is also a perfect point of departure for visiting Martha Brae River, Dunn’s River Falls, the Rosehall Estate, Black River or even the Appleton Rum Estate. For more information on these and other exciting tours and activities in Montego Bay, please see our Montego Bay tours and activities page. Looking for more information, mon? Don’t hesitate to reach out to us via our social media channels or our toll-free number from the United States or Canada: 1 (800) 895-3000. Amstar dmc is online and in destination to ensure you have an inspiring travel experience in Montego Bay, Negril, Ocho Rios, Lucea, Runaway https://www.amstardmc.com/destinations/jamaica/lucea/Bay or at any of our other destinations in Mexico, the Dominican Republic or Costa Rica. Rediscover yourself in the Caribbean!